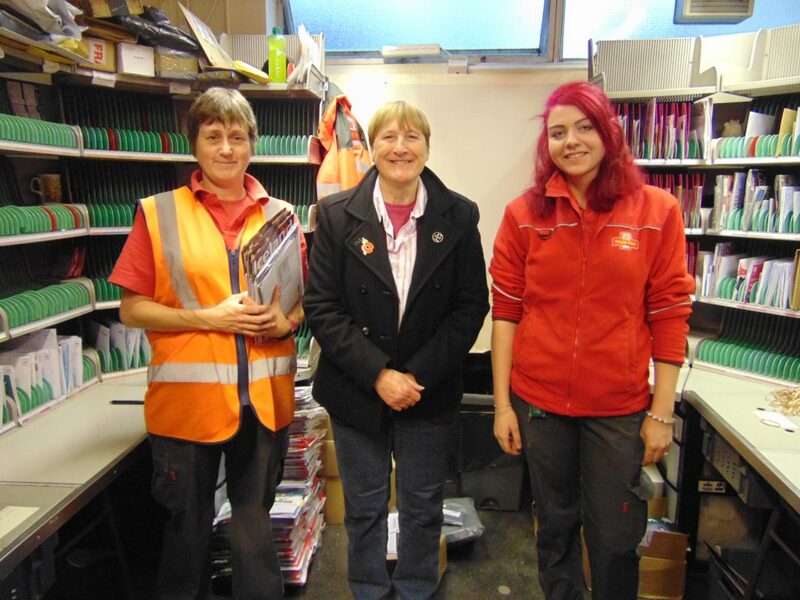 Dr Julia Reid MEP visited the Melksham Delivery Office to see first-hand the operation of delivering Christmas post and to pass on season’s greetings to its hardworking staff. 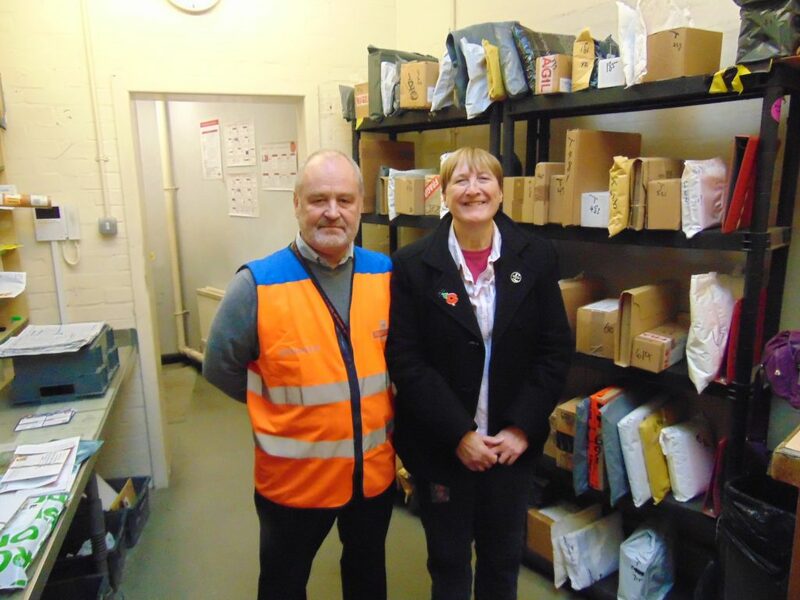 Dr Reid was shown around the office by Delivery Office Manager, Mel Hughes, and was introduced to the postmen and women, who are pulling out all the stops to sort and deliver mail in the South West over the Christmas period. 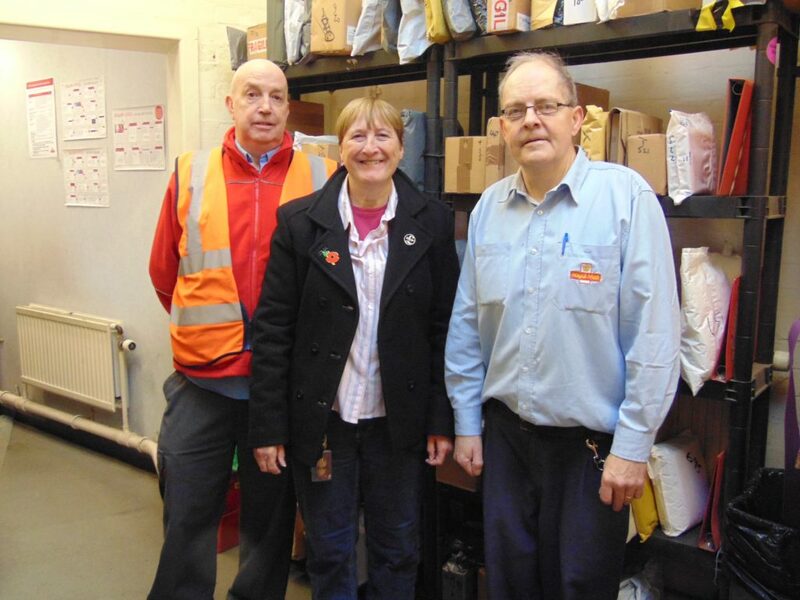 The festive season is Royal Mail’s busiest period; millions of people shop online for gifts and send Christmas cards and parcels.